LeVelle Moton, be careful what you wish for. 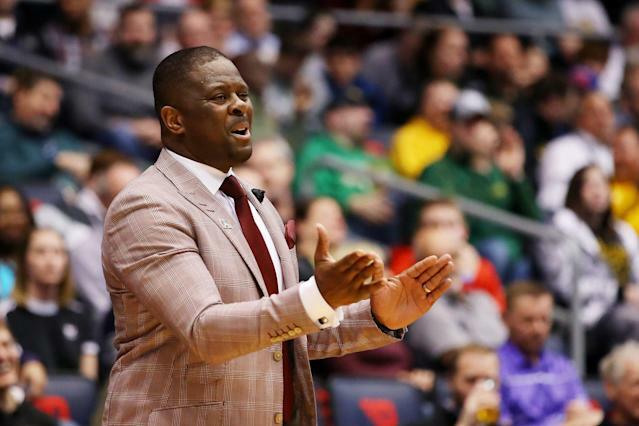 Shortly after winning the MEAC tournament and earning a bid to the NCAA tournament, Moton — North Carolina Central’s head coach — had just one request for the selection committee: Anybody but Zion Williamson and Duke. On Wednesday, he got his wish. Well, kind of. No. 16 seed N.C. Central fell to fellow No. 16 seed North Dakota State 78-74 on Wednesday night in their First Four matchup in Dayton, Ohio. The Bison will now take on No. 1 Duke in the first round of the tournament, which was awaiting the winner of their play-in game. Moton and the Eagles —while being spared from the fate of facing the tournament’s No. 1 overall team — are done. That “consolation prize” of sorts, though, isn’t something Moton — or likely any other coach in the tournament — would want to embrace. Tyson Ward led the Bison with 23 points on Wednesday night, shooting 7-of-13 from the field. Vinnie Shahid added 14 points, and both Sam Griesel and Jared Samuelson added 10. Larry McKnight Jr. and Raasean Davis each dropped 10 points to lead the Eagles. Randy Miller Jr. added 18 points, and Zacarry Douglas finished with 14 points. N.C. Central didn’t have a single point come off the bench in the loss. The Bison — who boast a 19-15 record and fell by 22 points in their last matchup against a Power 5 school — will now have the tough task of knocking off Williamson and the Blue Devils on Friday night in the first round. While most, if not all, around the country will pick Duke to cruise past North Dakota State, Ward said they just have to keep it simple if they want to knock off the best team in the country. How can @NDSUmbb take down Duke?